Stephen Miller, senior adviser to President Donald Trump, departs the White House June 25, 2018, in Washington, D.C.
WASHINGTON — White House adviser Stephen Miller became the latest Trump administration official to get a direct protest as immigration demonstrators converged on his home in downtown D.C. Monday. About 20 people protesting Miller's role in the Trump administration's "zero tolerance" immigration policy marched about a block to Miller's CityCenterDC apartment building, handing flyers to spectators along the way. 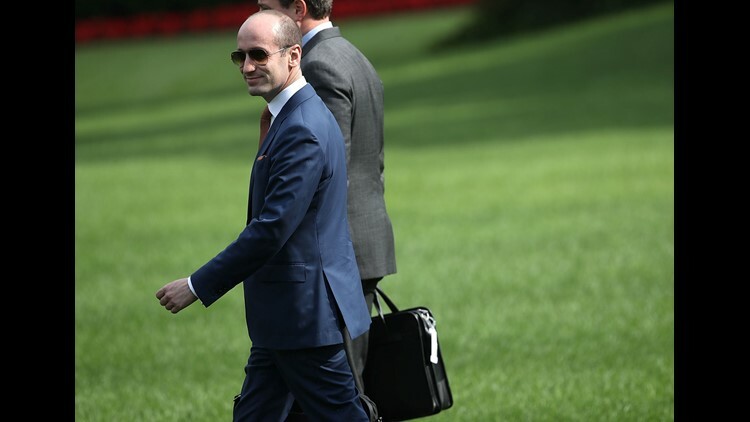 Miller, who was traveling with President Trump to a campaign rally in Columbia, South Carolina, was not home when the protesters arrived. "I think humans have the right to privacy, but as a public figure, his actions and policies affect people in their homes and in their lives," said Sue Udry, a bystander. The group, which identified themselves simply as "concerned D.C. residents," stood in front of Miller's apartment building chanting "immigrants are welcome here." CityCenterDC is a mixed-use development of million-dollar-plus condos, apartments, offices and upscale shopping, including Dior, Bulgari and Louis Vuitton. At one point, one of the protesters got into an argument with a building resident who appeared to be irritated with the protesters. But another resident, John Michael Gonzalez, said he was pleased to see activists demonstrate against Miller's policies. "I believe in what they're doing. It's terrible what the administration's doing to children and their parents," Gonzalez told USA TODAY. "They've left their countries fleeing persecution ... the first thing they (immigration officials) do is take their children from them," Gonzalez said. This is not the first time activists have demonstrated directly to Trump administration officials in the wake of the policy that has caused migrant children to be separated from their families along the U.S.-Mexico border. Last Tuesday, Department of Homeland Security Secretary Kirstjen Nielsen was confronted by the D.C. chapter of the Democratic Socialists of America as she dined at MXDC Cocina Mexicana near the White House. On Friday, Press Secretary Sarah Huckabee Sanders was asked to leave a restaurant in Lexington, Virginia, by the owner of the Red Hen because of Sanders' role in defending Trump administration policies. 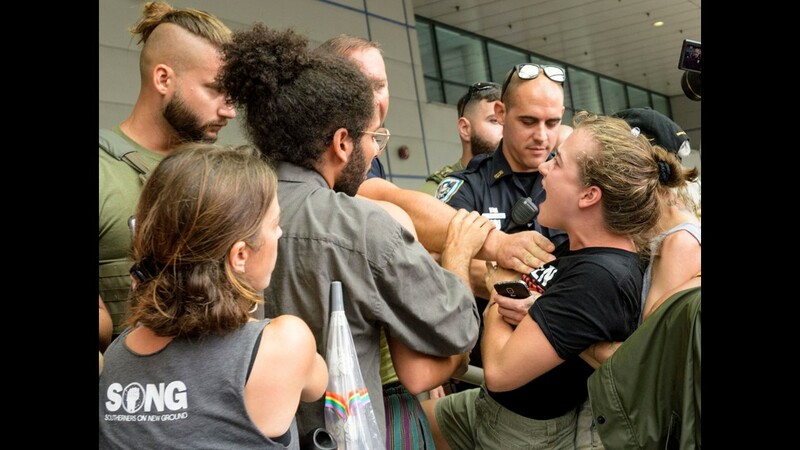 Jesse Rabinowitz, one of the organizers of the group marching on Miller's apartment building Monday, criticized the Trump administration for its zero tolerance policy. "As long as Stephen Miller and the Trump regime terrorize black and brown communities, penalize immigrants and ban Muslims, they will be met with frequent displays of public anger and moral outrage," Rabinowitz said. More: OnPolitics Today: Is Red Hen more than a red herring? Protestors clash with law enforcement outside the Ernest Morial Convention Center in New Orleans, La. Monday, June 18, 2018 after U.S. Attorney General Jeff Sessions spoke at the National Sheriffs' Association opening session. 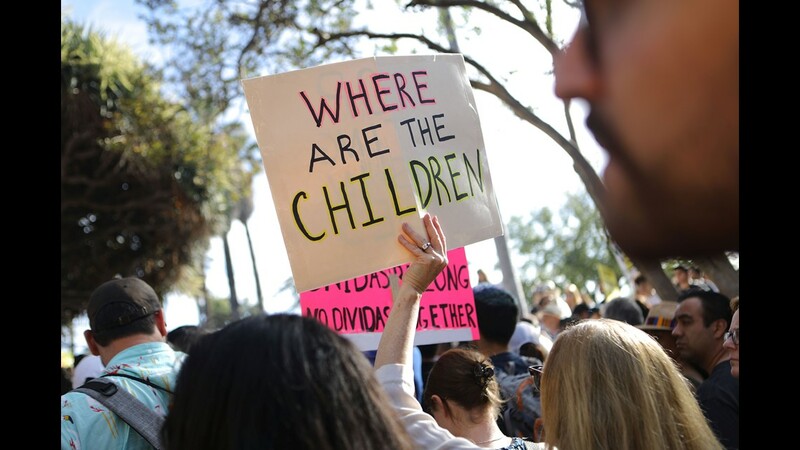 Protestors were against the detainment and separation of immigrant children from the parents on the U.S. Border. 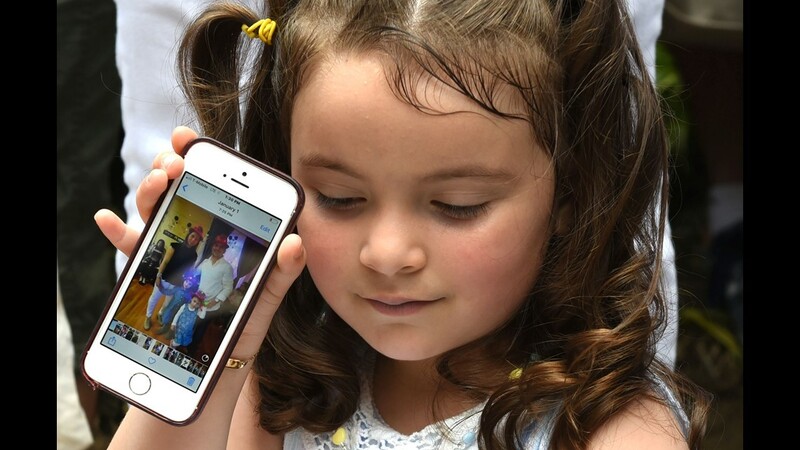 Luciana Villavicencio, 4, holds up a photo of her family on a cellphone during a press conference on June 18, 2018 regarding her father, Pablo Villavicencio. Ecuadorean Pablo Villavicencio was detained by Immigration and Customs Enforcement after delivering a pizza to Fort Hamilton Army base in Brooklyn, and was detained despite being in the process of adjusting his immigration status. His wife and two daughters are U.S. citizens. People gather for a vigil lead by the Families Belong Together campaign on Fathers Day outside U.S. Border Patrol McAllen Station calling for the end of family separation on June 17, 2018. 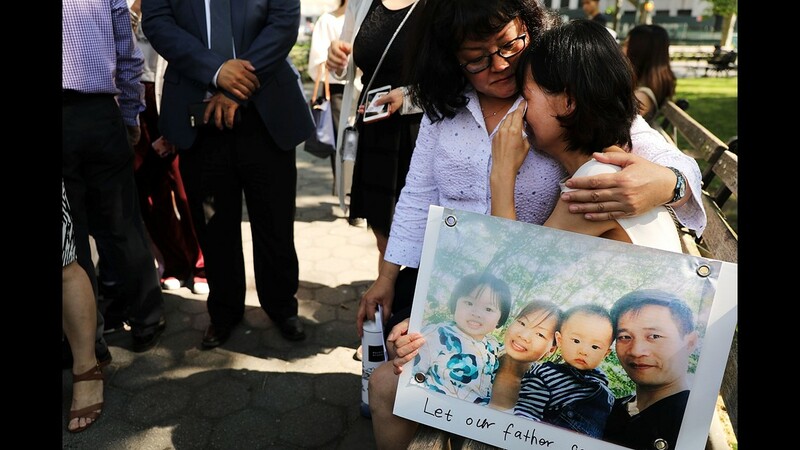 Yu Mei Chen, wife of detained Chinese national Xiu Qing You, cries during a protest in support of her husband on June 18, 2018 in New York City. You, a Queens father who has been in the U.S. for nearly 20 years, was detained by ICE agents when he went for his green card interview last month and is now being threatened with deportation back to China. 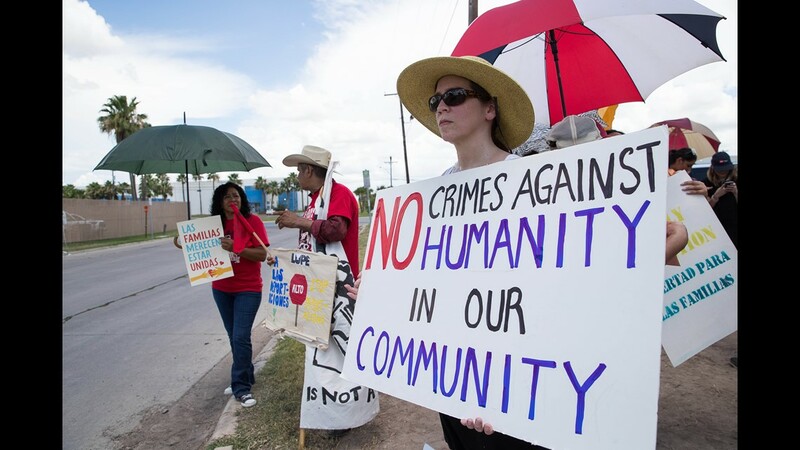 People gather for a vigil lead by the Families Belong Together campaign on Fathers Day outside McAllen Border Patrol Processing Center calling for the end of family separation on June 17, 2018. 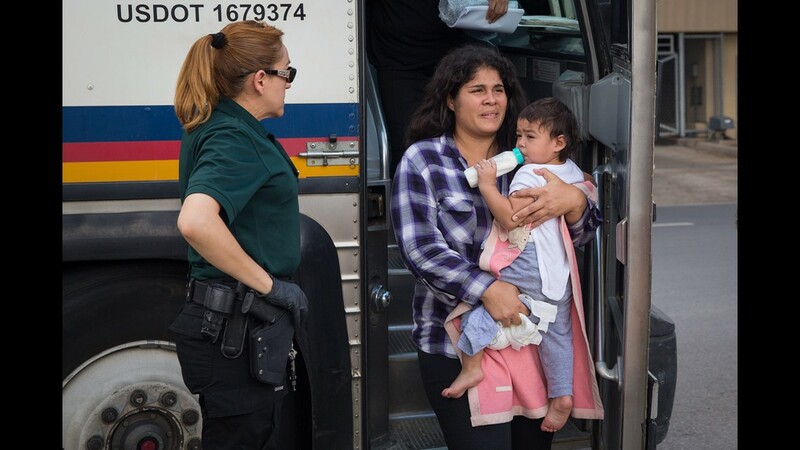 A woman carries a baby as immigrants are dropped off at a bus station shortly after being released from detention through "catch and release" immigration policy on June 17, 2018 in McAllen, Texas. "Catch and release" is a protocol under which people detained by U.S. authorities as unlawful immigrants can be released while they wait for a hearing. 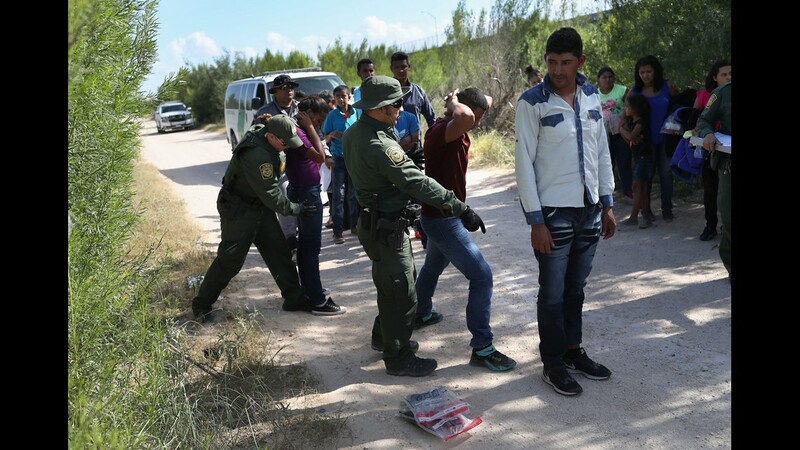 U.S. Border Patrol agents take a group of Central American asylum seekers into custody on June 12, 2018 near McAllen, Texas. 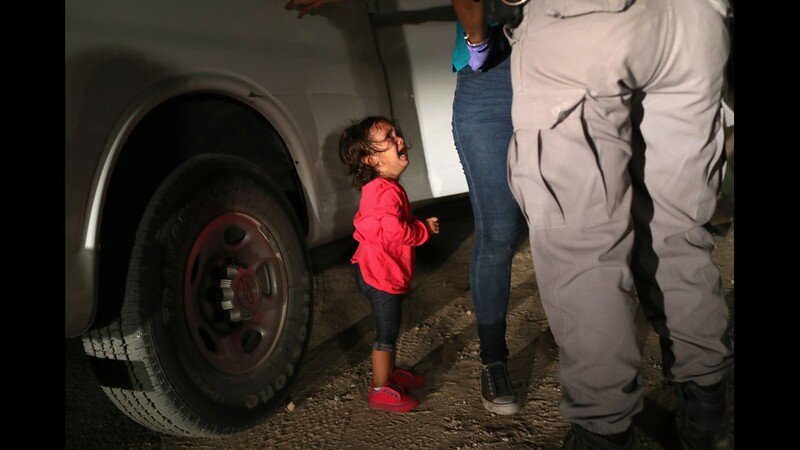 The immigrant families were then sent to a U.S. Customs and Border Protection processing center for possible separation. 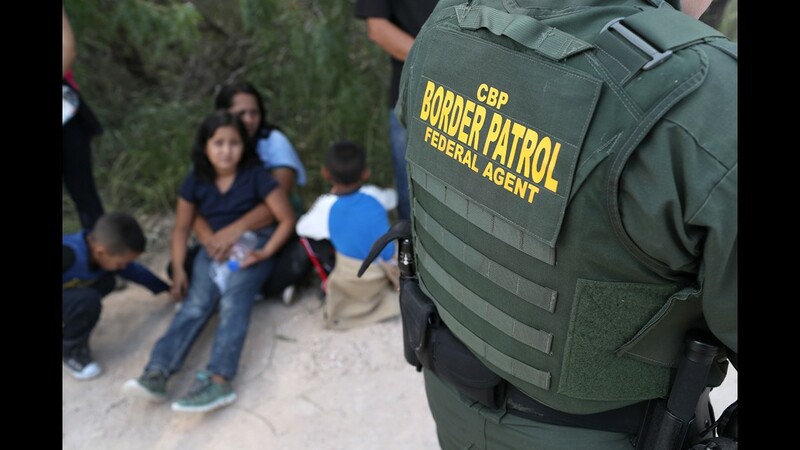 U.S. border authorities are executing the Trump administration's zero tolerance policy towards undocumented immigrants. 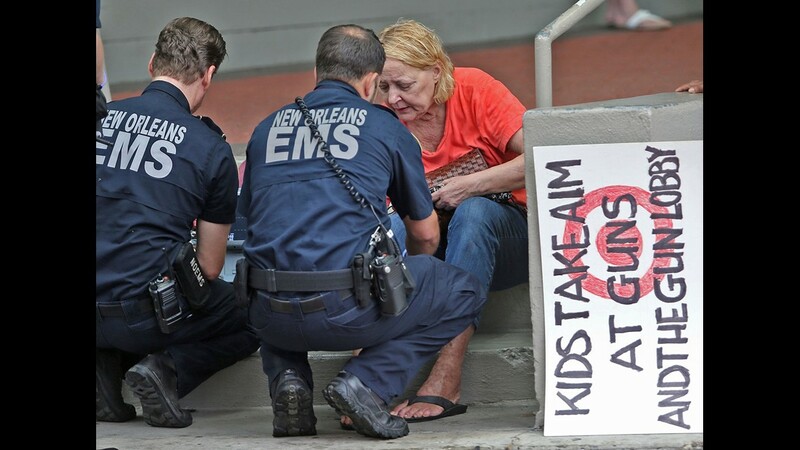 A woman struck by a truck as immigration protestors blocked the street is checked out by New Orleans EMS outside the Ernest N. Morial Convention Center in New Orleans, where Attorney General Jeff Sessions was addressing the National Sheriffs' Association on June 18, 2018. 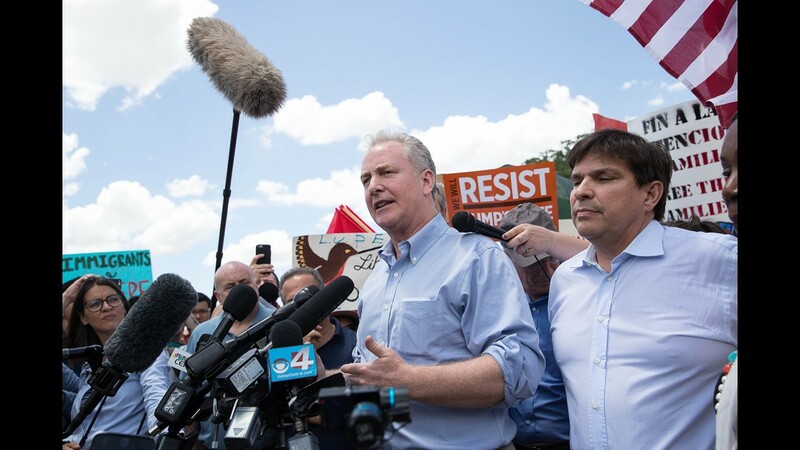 Sen. Chris Van Hollen of Maryland gives a statement about family separation after visiting the McAllen Border Patrol Processing Center in McAllen, Texas on June 17, 2018. 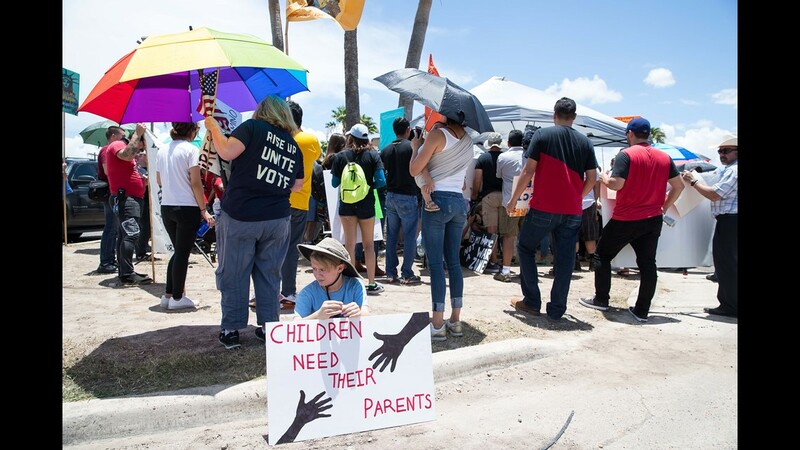 People gather for a vigil lead by the Families Belong Together campaign on June 17, 2018 outside U.S. Border Patrol McAllen Station, calling for the end of family separation. 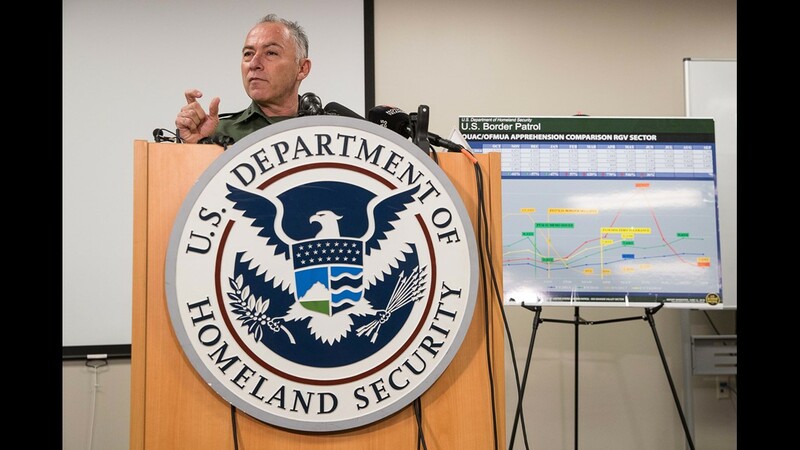 Border Patrol chief for the Rio Grande Valley, Manuel Padilla Jr., speaks during a press conference at the U.S. Border Patrol McAllen Station regarding the Trump administration's zero tolerance policy on June 17, 2018. 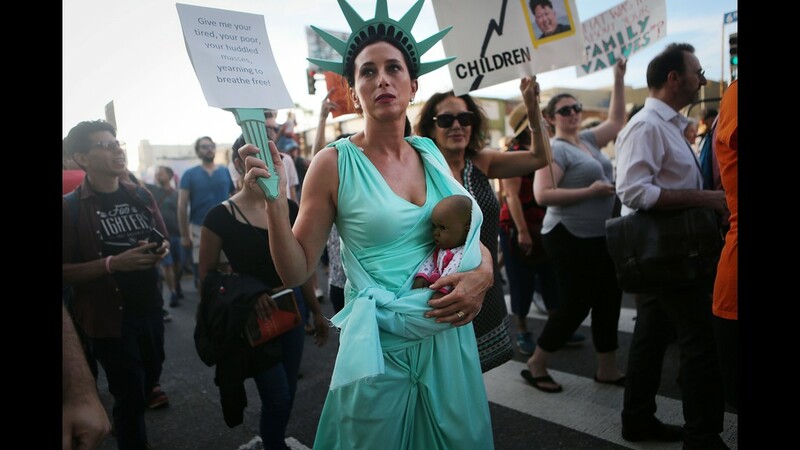 A protestor dressed as Lady Liberty carries a doll, depicting a baby of color, as demonstrators march at the Families Belong Together March against the separation of children of immigrants from their families on June 14, 2018 in Los Angeles. 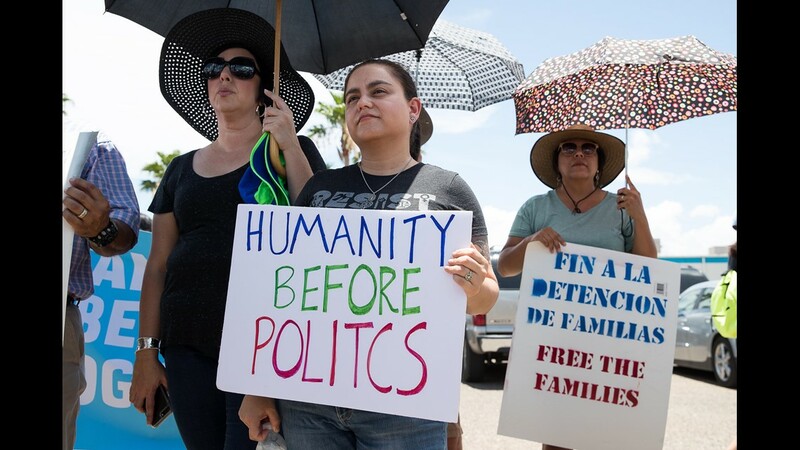 Demonstrators marched through the city and culminated the march at a detention center where U.S. Immigration and Customs Enforcement detainees are held. A protestor holds a sign at the Families Belong Together March against the separation of children of immigrants from their families on June 14, 2018 in Los Angeles.